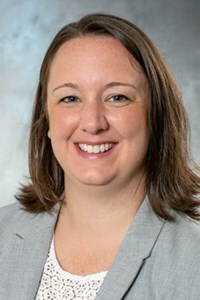 Christina Hanson, MPAS PA-C, is the director of Northwestern's developing Master of Science in physician assistant studies program, which is expected to begin in May 2020. She has been a certified physician assistant since 2008, providing care at family practice, orthopedics, urology and urgent care clinics in three Minnesota communities. She was also a physician assistant professor at Bethel University in St. Paul, where she helped launch that program and participated in a successful accreditation process. Hanson earned a doctorate in higher education leadership from Bethel University. She also has a Master of Science in physician assistant studies from Des Moines University's College of Health Science and a bachelor's degree in biology from Bethel.